A garden commemorates the 150th anniversary of the arrival of the Sisters of Charity in Australia in 1838. 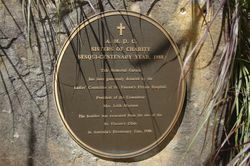 In 1838, five nuns from the Order of the Sisters of Charity in Dublin arrived in Australia at the request of Bishop John Bede Polding. They were the first religious community of women to arrive in the new colony. Their mission was to care for the poor and needy within the Sisters of Charity framework of care and compassion. Their early work included helping convict women and children at Parramatta, at what was then known as the Female Factory; assisting families during the 1844 influenza epidemic and caring for prisoners and their families at inner-city Darlinghurst Gaol. One of the goals of this courageous group of pioneering women was to open their own hospital. On 25 August 1857, St Vincent’s Hospital opened in an estate in Potts Point as a free hospital for all people, but especially for the poor. Three of the Hospital's founding Sisters were professional nurses, having trained in France, and they brought their knowledge to the colony. From its humble origin of 22 beds, the demand for St Vincent's services led it to move to its current site at Darlinghurst (Victoria Street) in 1870 where, under the guidance and direction of the Sisters, it continued to prosper and grow. Since then St Vincent’s Hospital has grown into a leading medical, surgical and research facility and is at the forefront of innovation in areas including heart, lung and bone marrow transplantation. 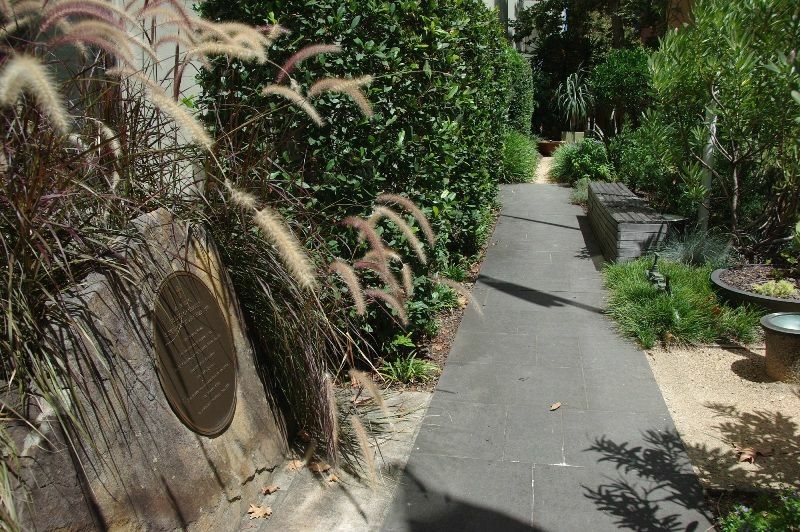 The boulder was excavated from the site of the St Vincent`s Clinic in Australia's Bicentenary Year, 1988.